To bring smiles and happiness to customers through healthy sweets. That is the simple yet noble philosophy of Chateraise, a Yamanashi farm-sweet house that has opened its doors at Westgate. Using truly fresh eggs, milk and other ingredients all from Japan, this shop produces a wide range of classic 洋菓子(Japanese western cakes) such as fresh cream cakes, swiss rolls and choux pastries. Best of all, they are not only delicious but also priced at an unbelievably affordable range of $1.90~$5.10!!! First up, the Legendary Fresh Cream Cake ($5.10) that would have truly lived up to the title if they hadn't been so benevolent with the sugar in the whipped cream. Nonetheless, this humble cake reigned supreme in many ways, from the cloud-like sponge cake to the juicy sweet Japanese strawberries and lusciously rich yet light fresh cream. Why bother climbing up Dempsey hill for a similar piece when you can get this at almost half price but better quality? The Matcha Bombe Cake ($4.70) is a matcha-themed cake with old friends like red bean and chestnut, but was still too sweet. There's other more stellar works for sure, but the deep matcha cream was enough to sustain my enthusiasm. Out of the four Nama cakes I've tried, I would highly recommend the Strawberry Soufflé Cheese Cake ($4.70) and the Happy Little Bear ($4.70) Like all other cakes here, this is extremely delicate and one has to handle it with care. But the cheese was indeed, light as soufflé and would be perfect if they insert a thin crust at the base. I've had come across enough examples to convince me that cute food don't taste good. But here is one that proved me wrong. I was guilty to cut it but I'm sure I'll be more guilty NOT eating it. It's neither buttercream nor mousse, and not even pastry cream. It tasted like slightly grainy bean paste lightened with chocolate, something that is strangely delicious and left a vivid image in my mind. 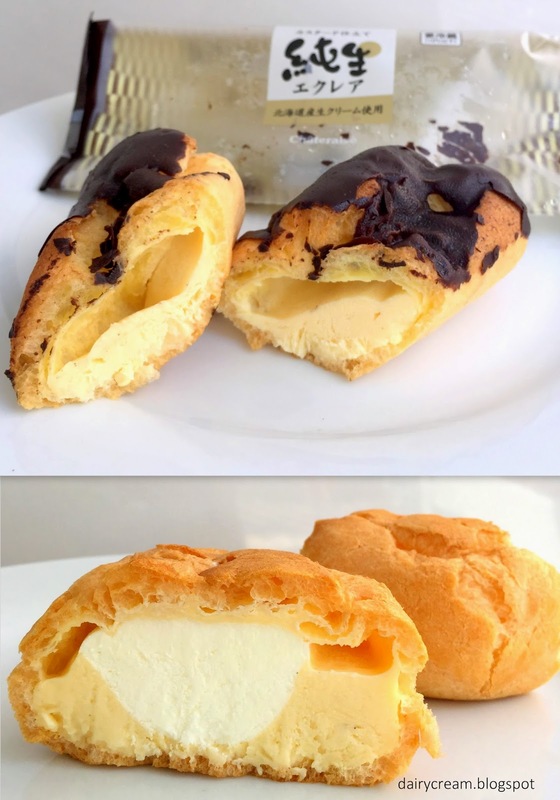 But the best pastry to showcase its fresh dairy products is none other than a simple double cream puff ($1.90) or eclair ($1.90) The pastry skin might not be top-notched but the filing is velvety rich but not too sweet. A perfect melt-in-your-mouth indulgence straight out from the chiller. Their fluffy Swiss roll is yet another simple yet extravagant culinary comforts that only costs $1.90. I think the folks are seriously too kind to their customers. 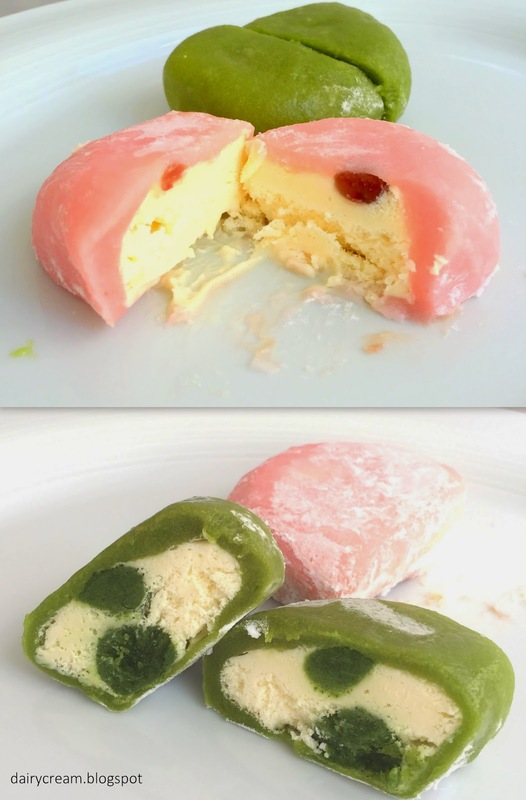 As an updated version of the traditional mochi, the cream mochi (available in four flavours) tastes fresh, light and oh-so-creamy. The skin, especially, is so elastic, a far cry from those thick and rubbery factory mass products. Last but not least, the assorted macarons ($2.50) here swept me off my feet. Bite into that light crust and there is an exhalation, creamy filling that is not alarmingly sweet. These definitely rose above the lurid gimcrack and further consolidated my faith in this Japanese pastry shop. I hope that the business will continue to prosper and look forward to more outlets in other heartlands of Singapore. The pastries look deliciously and beautifully prepared. The First Swallow Just Blew Our Minds . It Must Be The Very Best Among The Best Of Japanese Confection. Our First Swallow Just Blew Our Minds. Your Pasteries, Chocolates and Sweets are The Very Best that Japanese Confection has to offer. We made our 4th under $100 purchase at your Chinatown Point Outlet last night in less than a week. Hope that my wife Agnes is granted an interview soon and is honoured with a challenging career in this prestigious organisation. Will definitely try Chateraise when traveling to Singapore! Thanks for a sharing a Japa center in delhi information thanks. Registered Address:6th Floor,60 Gresham Street,London EC2V 7BB. YOU ARE WELCOME TO CONSUMER LOAN FIRM, our obligation is helping the needy to gain financial stability in order to meet with the demands of living. We give out loans from the range of $1,000 to $90,000,000 USD,at 2% interest rate; Our loans are well insured and maximum security is our priority, CONSUMER LOAN FIRM is a legitimate and well known British approved loan lending company based in London, England. PROVIDE THE FOLLOWING DETAILS IF YOU ARE INTERESTED. NOTE: We grant loans to customers in any currency of their choice. I love sweats, so this position its greats for me! Mezza9 Revisit : Popeye would love it here!